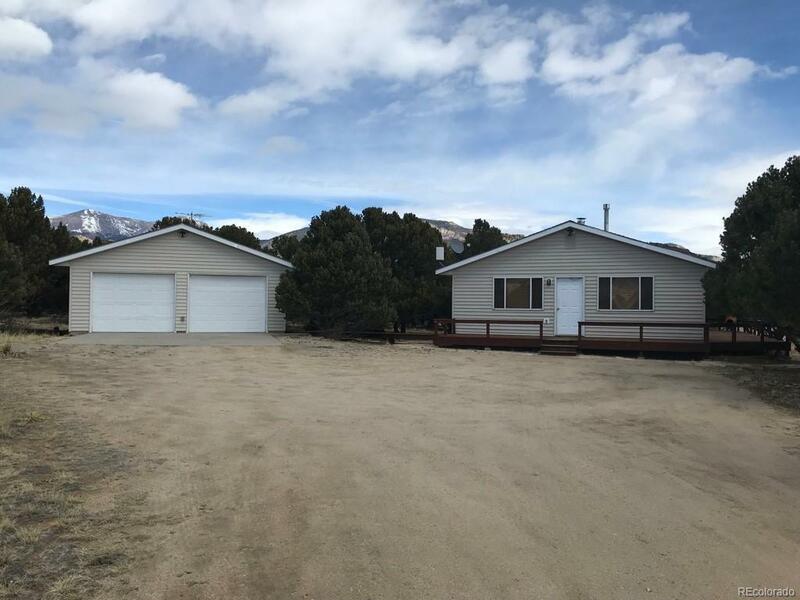 Charming home on 36 acres with great views of the Collegiate Peaks and just minutes from town. This 1344 sf home has 3 bedrooms and 1 3/4 baths. Large living area with wood stove and a detached 2 car garage. 50 Shares in the Riverside ditch that just steps from the home. Make this home your great escape!